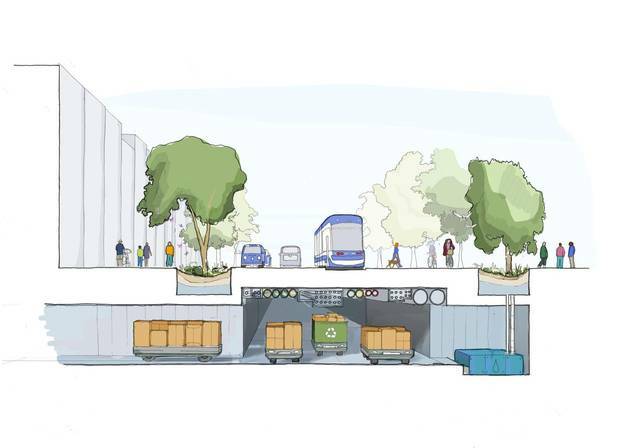 Sidewalk Labs, a unit of Google parent Alphabet Inc., has listed an array of technologies to aid in the transformation of Toronto’s Quayside. Robotic vehicles, heated bike lanes to melt snow and other tech could potentially be developed in Toronto and then sold elsewhere. It was unveiled last fall by Prime Minister Justin Trudeau, with the mayor of Toronto, the Premier of Ontario and Google executives on hand, and described as a plan to build a world-leading "testbed" on Toronto's waterfront to develop a flood of "smart city" innovations seemingly lifted from The Jetsons. 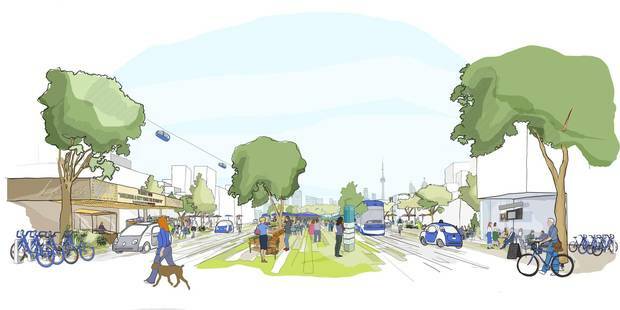 Sidewalk Labs, the unit of Google parent Alphabet Inc. selected to help transform a parcel of land known as Quayside, at the foot of Parliament Street, listed off a dizzying array of technologies it could develop in Canada's largest city, then sell elsewhere: cameras and sensors that detect pedestrians at traffic lights or alert cleanup crews when garbage bins overflow; robotic vehicles that whisk away garbage in underground tunnels; heated bike lanes to melt snow; even a new street layout to accommodate a fleet of self-driving cars. Four months have passed since Waterfront Toronto, the municipal-provincial-federal development agency, named Sidewalk its "innovation and funding partner" for the project – time enough for some of the gee-whiz talk of hyper-energy-efficient modular buildings and "taxibots" to be replaced by a rising chorus of critics both inside and outside City Hall. Many are concerned about the data Sidewalk could collect. Some say the deal has been shrouded in secrecy. Others fear the company's vague but sweeping plans could threaten the city's authority over a massive swath of waterfront or even its public transit system and other key services. "I am worried about their sales pitch, which is: 'We're the future, things are so wonderful,'" said Councillor Paula Fletcher. "This is our waterfront, and we have some pretty clear plans and requirements for it. … They're acting a bit like they are the government and that their plans will be the final decision. That's what has people worried." The concerns over privacy sparked by proposals involving arrays of cameras and sensors – from a company owned by Google – have been raised locally and in publications such as U.S. tech magazine Wired and Britain's The Guardian. Sidewalk has hired former Ontario privacy commissioner Ann Cavoukian and Waterfront Toronto hired former federal privacy commissioner Chantal Bernier as advisers to help deal with these issues. Meanwhile, despite briefings from Waterfront Toronto and Sidewalk executives, some city councillors say they still have little idea what Sidewalk actually intends to do – or where. The project is supposed to be limited, at first, to the 12-acre Quayside parcel. But the company has repeatedly said that many of its promised innovations must also be deployed on a larger scale, across the entire 800-plus-acre eastern waterfront, which includes the city's Port Lands – much of which is city-owned and already the site of extensive plans. Waterfront Toronto and Sidewalk are now engaged in closed-door talks that will better define the final agreement, which is due this year and must be approved by Waterfront Toronto's board. But Waterfront Toronto's refusal, for what it says are "commercial reasons," to release the text of the preliminary "agreement to agree" it signed in the fall with Sidewalk has led to accusations of excessive secrecy, even from Mayor John Tory's appointee to Waterfront Toronto's board, Deputy Mayor Denzil Minnan-Wong. Mr. Minnan-Wong, now a candidate for the Progressive Conservative Party in the upcoming provincial election, stresses that he does not oppose the Sidewalk project in principle. (He has seen the deal, but failed to convince his fellow Waterfront Toronto board members to release it.) But he cryptically told the mayor's executive committee last month that it should better scrutinize the deal. "I know enough about the agreement that I think you would like to know more about the agreement," he said. Senior city bureaucrats have also seen the full text. In a report, they said that contemplating the implementation of anything outside the Quayside site is "premature." They also said the deal does not give Sidewalk Labs the right to develop land or avoid government approvals. Waterfront Toronto and Sidewalk are in closed-door talks to better define the final agreement, due this year and to be approved by the agency’s board, for the Eastern Waterfront lands. Answering questions from the executive committee last month, deputy city manager John Livey would only say the confidential information was related to "commercial terms" around Sidewalk's promised US$50-million initial investment, such as how and when the money gets disbursed. When controversy over the secret deal first erupted in the fall, Sidewalk and Waterfront Toronto did release a brief summary. It says Sidewalk agreed to put as much as US$10-million toward the project immediately and would then provide an additional US$40-million once certain milestones were met, with the money earmarked for external consultants, public consultations and early pilot projects. 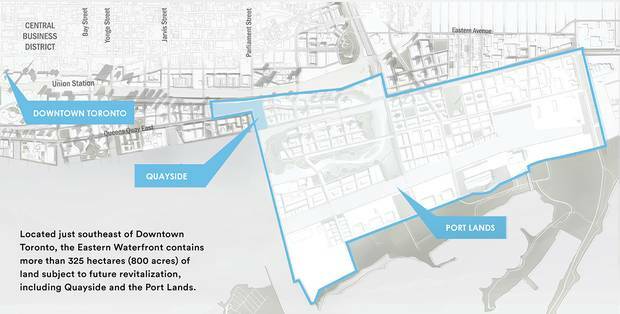 According to the summary, which provides little further detail, those milestones include the "execution of contribution agreements" from all three levels of government to cover the $1.25-billion cost of floodproofing the Port Lands, as promised, as well as the "re-affirmation of Waterfront Toronto's existing mandate for the planning and development of the Eastern Waterfront." They also include the "alignment" of both sides on the scope of the plan that must be submitted to city council in order to proceed with development on the Quayside site, the scope of the final deal and an agreement on "fair and arm's-length" procurement standards. Mr. Tory, who has praised the Sidewalk initiative but has not seen the text of the deal, says no commercial agreement could strip the city of its authority: "I remain confident that the city's powers to zone and basically determine what's going to happen and what's not going to happen on those lands remain absolutely undiminished." Will Fleissig, Waterfront Toronto's chief executive officer and a driving force behind the Quayside project, said in an interview that the text of the preliminary deal will eventually be released – but only once the current round of talks wrap up, likely in April, and the second, more detailed deal is signed. Work will then begin on the final master plan. Mr. Fleissig, a former San Francisco developer and city planner in Denver and Boulder, Colo., who took on his role here two years ago, would only say the current talks are "clarifying" terms in that preliminary deal and that Waterfront Toronto has received legal advice suggesting it would not be "prudent" to release that first agreement now. Still, he added: "We of course want the public to know. We are a transparent entity." It will be years before Sidewalk, which is not a builder or developer, brings in construction companies and puts shovels in the ground, but pilot projects could begin much sooner. 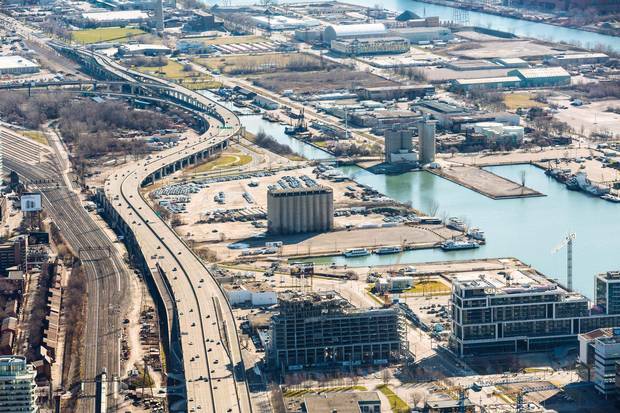 The CEO of Sidewalk Labs, former New York deputy mayor Dan Doctoroff, said it was up to Waterfront Toronto to release the text of the deal – and that Sidewalk has no problem with it being made public. Mr. Doctoroff said his project does not aim to override the city's authority in planning or procurement. All of Sidewalk's plans, he said, would have to be approved by city council. And he said he wants to work with the existing plans for the Port Lands, not tear them up. But Mr. Doctoroff, who has been making his pitch to politicians and business leaders for months, said Sidewalk is interested in a "new model" of public-private partnership. "The ultimate management of it is something that we will figure out as we move forward," he said. "But I think any sense of the notion that this is government turning over the regulatory or supervisory or administrative functions of government to some private entity is just not accurate." Still, Sidewalk's response to Waterfront Toronto's request for proposal does call for radical changes to zoning and the building code and warns that "opportunities for innovation in the areas of transportation and energy may require substantial forbearances from existing laws and regulations." And Mr. Doctoroff is adamant that his company, which has a staff of urban thinkers and tech experts and has been working on its concepts for two years, is aiming for nothing less than a huge transformation of city life. "It will, over time – if we do this well, and people are excited about it – traverse almost every urban system that exists."